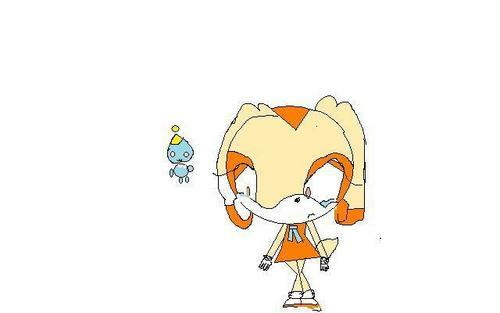 cream the rabbit and cheese the chao. zzzz so speely i been working on this for 4 hores. Wallpaper and background images in the Cream the Rabbit club tagged: .... cream. Hold on! I like Tails and I've seen a Shadow759 on Yutube are you him!!!??? Why is my head so HUGE? ikr why do i look like a 4 year old drew me?